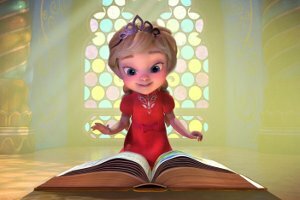 While wandering around the secret chambers of the castle on her seventh birthday, Princess Barbara finds a magic book, which transports her to wonderland. In this world full of dragons, colourful creatures, and gnomes, Barbara sets off on an exciting adventure to find a mirror that can connect her to her friends in a faraway country. During her adventures, Barbara finds out that there is a secret mirror in her castle that can connect her with her mother, who left her and King Alister when she was just a baby. 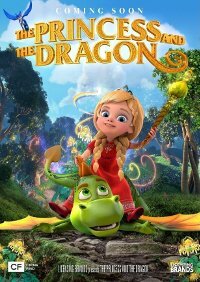 She returns home with her best friend, the dragon Dragosha, and finds out that the mirror was hidden by King Alister’s evil advisor. Together, Barbara and Dragosha set off on a final adventure to find the magic mirror, reconnect with her lost mother and banish the evil advisor. This film is releasing in 2D and 3D. This is the 2D version.